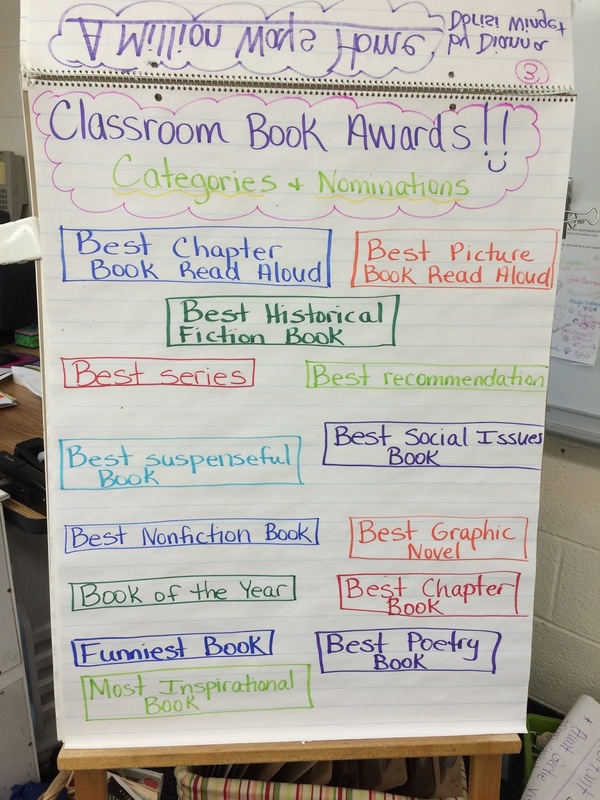 A few years ago, I began the tradition of hosting Classroom Book Awards and students loved it! Click here to read my post about the process. 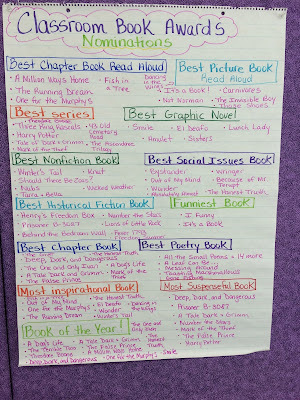 Click here to see the list of winners from last year. 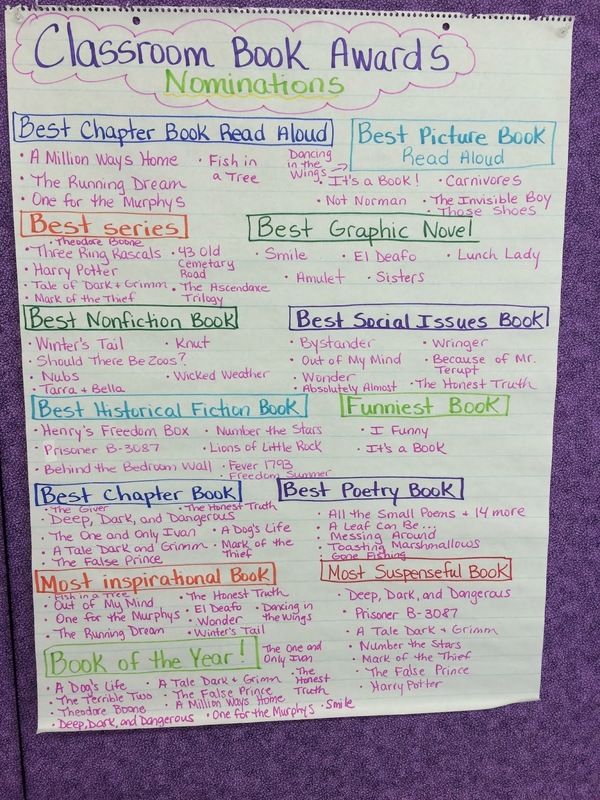 Even though school ended a few weeks ago, I just remembered I never posted our winners for this year! 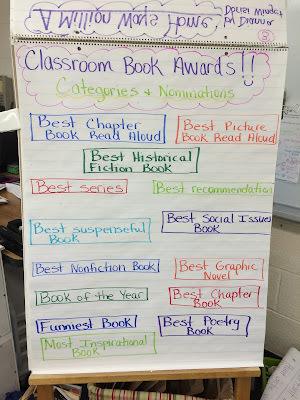 Just as in the past, my students first decided on award categories and created a list of books they nominated for each category. What fun--I feel like A Leaf Can Be... might need a red-carpet gown:>) Knowing that kids chose this is amazing for me as a writer. Thank you so much for sharing this. We loved reading A Leaf Can Be!! The students also used it as a mentor text during our poetry unit too! Looking forward to reading A Rock Can Be!